While all Linux operating systems The Best Linux Operating Distros The Best Linux Operating Distros The best Linux distros are hard to find. Unless you read our list of the best Linux operating systems for gaming, Raspberry Pi, and more. Read More are the same at their core, there are also things which separate them somewhat. For example, package managers Which Linux Package Manager (and Distro) Is Right for You? Which Linux Package Manager (and Distro) Is Right for You? A key difference between the main Linux distros is the package manager; the differences are strong enough that it can influence your choice of distro. Let's look at how the various package managers work. Read More differ between each variation, as do other things. One large point of difference that many people will face is the way you actually get such a system onto your computer. Though many Linux operating systems these days are easy to install, if not even easier than Windows, there are some which buck this trend. They usually trade ease of use for flexibility and power out of the box. This might not be good for everyone, but for those who like it can be very, very appealing. What Makes an Installation Hard? In general, the more choice you get out of the box, the harder it is to set up. Through this list, you’ll see that trend, from a fairly easy learning curve Want To Learn Linux? These Four Distros Will Take You From Beginner To Pro Want To Learn Linux? These Four Distros Will Take You From Beginner To Pro If you're interested in learning about Linux, some distributions are better than others at helping you out. Depending on how deep you want to go, there are different distros that are ideal for you. Read More , to something a little harder to grasp. There are a number of Linux operating systems which try to tailor themselves for specific users, and it shows at times. The amount of documentation there is about a specific Linux operating system can also make such installations easier or harder. In general, having little information on how to install something can mean two things. Either it’s intuitive enough to not need it, or you’re in for a bit of a challenge. Having extensive information Top Websites and Books to Transform You into a Linux Command Line Hero Top Websites and Books to Transform You into a Linux Command Line Hero The Linux command line is an extremely powerful tool -- but it can also be intimidating. Use these websites and books to get a handle on it. Read More on hand can also mean that much more to read and digest. Truth be told, Debian is still remarkably simple to get up and running, for the most part. The thing that makes it a little harder in comparison to the likes of, say, Ubuntu 11 Must-Have Apps on Ubuntu Right After a Fresh Install 11 Must-Have Apps on Ubuntu Right After a Fresh Install Are you looking at a fresh installation of Ubuntu and feeling a bit lost? 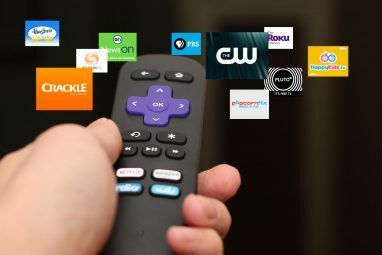 We've compiled this list of the first eleven applications you will need to install. Read More , is that it provides a larger amount of choice upon installation. It shows the beginning of a trend followed by other Linux operating systems: that of giving more and more control to the user. They begin to assume a certain level of knowledge from you before proceeding. For example, in Debian’s setup, you’re expected to supply an appropriate hostname How to Modify and Manage the Hosts File on Linux How to Modify and Manage the Hosts File on Linux Modifying a little known feature called the hosts file can improve your system security, whether you need to create shortcuts, block websites, or more. But how do you find and make changes to it? Read More for your installation (granted, one is supplied by default). This continues throughout the entire setup process. You’re given a choice to have a graphical installation process, or an entirely keyboard driven one. You must decide which desktop environment Which Linux Desktop Environment Best Suits Your Personality? 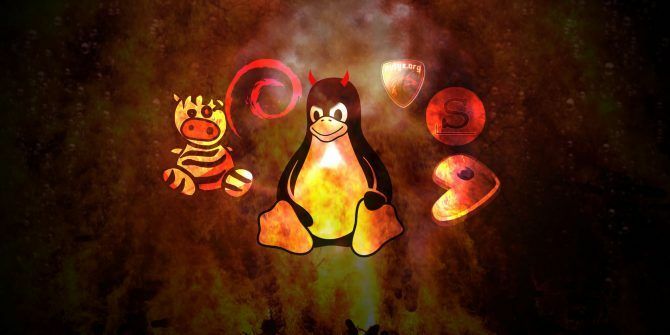 Which Linux Desktop Environment Best Suits Your Personality? What kind of computer user are you? Do you leave icons scattered across your desktop? Do you prefer to work in one uncluttered application? Let's find out which Linux desktop environment suits you best. Read More you want to have, if any, rather than be given one by default. You’re even given a choice to configure your package manager Which Linux Package Manager (and Distro) Is Right for You? Which Linux Package Manager (and Distro) Is Right for You? A key difference between the main Linux distros is the package manager; the differences are strong enough that it can influence your choice of distro. Let's look at how the various package managers work. Read More somewhat! Another thing that can make Debian uniquely difficult is its strict policy on proprietary software How to Install Proprietary Graphics Drivers in Ubuntu, Fedora, and Mint How to Install Proprietary Graphics Drivers in Ubuntu, Fedora, and Mint Most of the time, you'll be fine with open-source software on Linux. But if you want real gaming and graphical power, you'll need proprietary drivers. Here's how to get them. Read More , which extends to drivers. As such, you might find yourself in a situation where you must install a few extra drivers yourself, to get things working. Compare this to more consumer-focused operating systems 5 Flavors of Linux Mint 18 You Can Try Today 5 Flavors of Linux Mint 18 You Can Try Today Linux Mint is a distro that has roots in Ubuntu but lots of changes that make it worthwhile. In this article, we explore the five flavors of desktop environment that you can try. Read More , which supply them for you. Unsurprisingly, the oldest Linux operating system, Slackware Is Slackware, The Oldest Remaining Linux Distribution, Right For You? Is Slackware, The Oldest Remaining Linux Distribution, Right For You? Read More , is a little tricky to set up. Though a step up from Debian in terms of difficulty, it provides plenty of documentation in its setup disc, and installs a usable base system for you by itself. It doesn’t even require an internet connection to get running! Like Debian (and unlike easier Linux operating systems like Mint Linux Mint vs Ubuntu: Which Distro Should You Choose? Linux Mint vs Ubuntu: Which Distro Should You Choose? Linux Mint and Ubuntu are two of the most popular Linux distros, but there are real differences between the two. Which one is right for you? Read More ), you’re given plenty of choices during the installation process. Not only can you choose what groups of software packages How to Install Software on Linux: Package Formats Explained How to Install Software on Linux: Package Formats Explained You've switched to Linux, and want to install some software. But package managers differ depending on your distro. So which apps can you download and install? It's all in the acronyms. Read More you want to have by default, but also exclude entries that you don’t need as well. As a result of this however, you may also need to know what each package does, and why they’re important. While it’s tempting to exclude as much as you can, it also increases the chance of making an unusable system. Another thing that makes Slackware a bit more difficult is that you need to first manually partition Take Control of Linux Disk Partitions with These 10 fdisk Commands Take Control of Linux Disk Partitions with These 10 fdisk Commands While desktop disk management tools are also available for Linux distros (such as the Disk Utility in Ubuntu), using the fdisk command line tool offers more options. Read More your hard disk drive using either the fdisk or cfdisk command-line tool. One could also do this in a different tool Three Ways to Resize a Linux Partition Safely Three Ways to Resize a Linux Partition Safely How do you make changes to hard drive partitions without breaking your system and losing all of your files? Start with Linux! Read More , but these are the tools Slackware provides users with. All this being said, it’s a gentle slope up from Debian. You’re basically given multiple command-line tools 5 Ways to Shut Down Your Linux Computer From the Command Line 5 Ways to Shut Down Your Linux Computer From the Command Line No operating system is perfect. Linux is no exception, and you'll need to restart at some point. But how? There are several shutdown commands available to Linux users. Read More to set up Slackware, rather than the single, graphical one that Debian provides. And compared to the Linux operating systems below, it’s by much easier to install. The NuTyX Linux operating system Go Nuts With Nutyx: A Customizable Linux Operating System Go Nuts With Nutyx: A Customizable Linux Operating System As a Linux distro, NuTyX is aimed at Linux fanatics. But because of its command line interface, it's a pretty bare-bones but functional OS. Is NuTyX right for you? Read More is aimed towards users who desire flexibility and power. That by itself should send a few warning bells to people not very interested in those sorts of things. Like Arch Linux Arch Linux: Letting You Build Your Linux System From Scratch Arch Linux: Letting You Build Your Linux System From Scratch For Linux power users, it's highly desirable to be able to completely customize your system. Sometimes, that can be best achieved from the start -- by piecing together the components that you'd like to include... Read More , it comes at a price: a steeper learning curve. Unlike Arch, you’re still given some form of graphical interaction in its installer, similar to Slackware. However, it does a little less in comparison, which may be difficult for some to handle. If you want to install a desktop environment KDE Explained: A Look at Linux's Most Configurable Desktop Interface KDE Explained: A Look at Linux's Most Configurable Desktop Interface What does Linux look like? Sometimes, Unity; other times, GNOME. Oftentimes, though, Linux runs KDE. If you're not using the erstwhile K Desktop Environment on your Linux PC, now is the time to change! Read More , you’ll need to know how to use its package manager, after the basic installation process. Like Slackware, you’ll be using a command line tool to partition your hard drive. Going through the entire process of installing NuTyX will leave you with a very basic system to build from (like Arch Linux How to Install Arch Linux the Easy Way with Antergos How to Install Arch Linux the Easy Way with Antergos Old PC or laptop need a new lease of life? Thinking about switching to Linux, but don’t know where to start? With Antergos, you can install Arch Linux the easy way! Read More ). Unlike Slackware though, you’ll need to install the rest of your programs from the command line. Almost nothing comes out of the box — that’s where you come in. It’s the price to pay for an even higher level of choice. You’re given just the basics to get yourself started, which, with the right knowledge The Linux Advantage: 5 Websites You Should Head to for Learning Linux The Linux Advantage: 5 Websites You Should Head to for Learning Linux Whether you've been putting off Linux for years or you're just hearing about it, there are ample reasons to start today. Want to try now? These resources will get you started. Read More , you can build upon. NuTyX expects you to know how its package manager works, along with other terminal tools. Of course, the Linux operating system that’s well known for its hard-to-install process would be on here. And for good reason. Like NuTyX, you’re expected to know a lot about your system, along with the right tools to use to set it up. That is to say, there’s no installer, and you’ll be touching the command line a lot A Quick Guide To Get Started With The Linux Command Line A Quick Guide To Get Started With The Linux Command Line You can do lots of amazing stuff with commands in Linux and it's really not difficult to learn. Read More . This comes with the benefit of a lot of power in your hands How to Gain Total Control of Your PC With Gentoo How to Gain Total Control of Your PC With Gentoo Gentoo is a true Linux operating system for power users, but with the right knowledge, anyone can gain control over their PC with Gentoo Linux -- even you! Read More . Gentoo is about as far as you can get to choosing exactly the kind of Linux operating system you want, without actually making your own. It’s partially why Google’s Chrome OS is based on it How to Run Google Chrome OS From a USB Drive How to Run Google Chrome OS From a USB Drive You don't need to buy a Chromebook to enjoy the features of Google's desktop operating system. In fact, all you need is a working computer and a USB Drive. Read More . That being said, Gentoo’s documentation is quite excellent, so while you’re on quite the thorny path, you won’t be alone. It’s very detailed, stepping you through the entire installation process. However, it’s quite dense, and difficult to wade through. That’s the result of focusing on choice and flexibility — there’s no default options, so you decide them yourself. For example, many things which other Linux operating systems take for granted are a manual choice on Gentoo. You may choose how it manages system services How to Control Linux Start-Up Services and Daemons How to Control Linux Start-Up Services and Daemons Linux runs many applications "in the background" that you might not even be aware of. Here's how to take control of them. Read More . You’re encouraged to compile your own kernel, with all the work (and power!) that entails. It’s yours to change to your liking, right from the start. It’s the sort of Linux operating system that’s both hard, but fairly open to others. If you do put in the time to learn about Gentoo, you’ll find it easy enough to use, what with the large amount of information online about it. Plus, their community How to Get the Best Support on Linux Forums How to Get the Best Support on Linux Forums Stuck with Linux? The best place to get help is online, but, it's important to approach support in a certain way. Need help getting a reply on a support forum? Try these tips! Read More can be quite helpful in a pinch — Gentoo’s users will likely be quite versed in Linux compared to other places. Exherbo Linux is a fairly obscure Linux operating system, quite similar to the more well-known (and infamously hard) Gentoo Linux How to Gain Total Control of Your PC With Gentoo How to Gain Total Control of Your PC With Gentoo Gentoo is a true Linux operating system for power users, but with the right knowledge, anyone can gain control over their PC with Gentoo Linux -- even you! Read More . As such, it has some rather interesting ideas, such as an expectation for users to contribute back to development, along with lots of assumed knowledge. Not only is its documentation quite scarce, but you’ll be relying on multiple external tools An A-Z of Linux - 40 Essential Commands You Should Know An A-Z of Linux - 40 Essential Commands You Should Know Linux is the oft-ignored third wheel to Windows and Mac. Yes, over the past decade, the open source operating system has gained a lot of traction, but it’s still a far cry from being considered... Read More to get your system set up. Think what Slackware and NuTyX do, but for multiple parts during the installation. This is because there’s no hard and fast way to get it working — for the most part, you’re on your own. For example, where the previous Linux operating systems would do things such as mount your partitions automatically, Exherbo expects you to do this yourself Mounting Hard Disks and Partitions Using the Linux Command Line Mounting Hard Disks and Partitions Using the Linux Command Line Looking to get more from the Linux terminal? Learning how to manually mount and unmount your hard disks is a great place to start. Modern Linux distributions make this much easier and intuitive than ever. Read More . 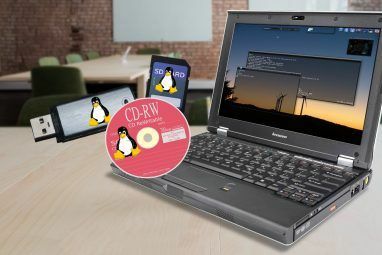 There isn’t really an official installation disc either — the best they recommend is to boot into a live USB environment The 5 Best Linux Distros to Install on a USB Stick The 5 Best Linux Distros to Install on a USB Stick USB are great for running portable versions of Linux. Here are the most useful Linux distributions to run from a USB drive. Read More and start from there. It’s a complicated process, not helped by all the steps you need to do in between. You manually partition your hard disk drive. You compile your own kernel How to Compile Your Own Linux Kernel How to Compile Your Own Linux Kernel Compiling your own Linux kernel is one of those geeky, technical things, right? We've already covered a few reasons why you might want to do this -- now is the time to try it yourself! Read More . And you’ll be surrounded by unfamiliar terminology that needs wading through. Compared to even Gentoo, which at least has an extensive handbook, Exherbo is quite light on user information. Put all these factors together, and you’ve got a recipe for a Linux operating system that’s hard to install. That being said, Exherbo was never designed for end users in the first place. What About Linux From Scratch (LFS)? Linux From Scratch (LFS) Create Your Very Own Operating System With Linux From Scratch [Linux] Create Your Very Own Operating System With Linux From Scratch [Linux] Do you know how customizable Linux really is? Well you should if you've even heard of Linux or dabbled in it a bit. If not, try taking a look at a list of over 1,000... Read More isn’t exactly an operating system by itself. Instead, it provides readers with a way of making one of their own. A blueprint for something rather than an actual base, so to speak. It walks a reader through every step of making their own operating system with great detail and care. As such, it’s very educational, as well as very difficult to install. You’d need to learn about many new Linux concepts Ext4 vs. Btrfs: Why We're Making The Switch [Linux] Ext4 vs. Btrfs: Why We're Making The Switch [Linux] Quite honestly, one of the last things people look at is which file system is being used. Windows and Mac OS X users have even less reason to look, because they really have only one... Read More along the way, along with compile How to Compile & Install TAR GZ & TAR BZ2 Files in Ubuntu Linux How to Compile & Install TAR GZ & TAR BZ2 Files in Ubuntu Linux Read More a great deal of programs. However, it can’t really be considered a Linux operating system, as it’s merely documentation on how to make one. It’s important to keep in mind that no matter the Linux operating system The Best Linux Operating Distros The Best Linux Operating Distros The best Linux distros are hard to find. Unless you read our list of the best Linux operating systems for gaming, Raspberry Pi, and more. Read More you choose to install, what matters is getting it onto your computer and using it. Sure, there may be benefits or drawbacks to whatever setup you pursue, but that’s just how Linux is: various by nature. What’s really important is choosing something that best suits you. If you want a high level of flexibility, then by all means, use something like Arch Linux Manjaro Linux: Arch For People Who Don't Have Time Manjaro Linux: Arch For People Who Don't Have Time Read More . And if you want something more automated, that’s fine as well. It’s still Linux Why It Doesn't Matter Which Linux Operating System You Use Why It Doesn't Matter Which Linux Operating System You Use There's always going to be arguments about which Linux operating system is "better". Overall, Linux provides a good experience, regardless of how you run it. Let's look at those similarities -- and celebrate them! Read More , after all. What’s the hardest Linux operating system you’ve installed (or tried to)? Debian is dirt simple to set up, takes just a few minutes. I had read Debian was hard to install. That kept me from using Debian for years, as I am a total GUI guy. When I finally tried it, it was not all that difficult. I did find a good tutorial on how to configure Debian once installed, that really helped. I guess if I can do it, a total GUI guy, most anyone can install Debian. The hardest part was getting over the fear from reading FUD. This list is pretty off. Arch Linux isn't included, and Debian is extremely easy to install. They have separate iso's for non-free drivers included and an entire repository of non-free software/drivers. All Linux operating systems are impossible to understand, because they are made by nerds for nerds. They give everything really stupid nerdy names that only they understand. The reason Windows won the hearts and minds of the majority of people is because they made everything user friendly. 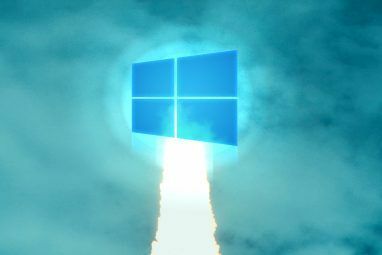 "The reason Windows won the hearts and minds of the majority of people is because they made everything user friendly." BS!!! The reason why Windows 'won the hearts and minds' is because of Microsoft's restrictive sales contracts. As a PC manufacturer you either installed Windows on ALL your computers or you did not get volume discounts. Microsoft followed the US Marine Corps motto of "If you have them by the balls, their minds and bodies will follow". MS had everybody by the cojones and the users' minds and WALLETS followed. Users had two choices, Apple or Windows. Apple was too expensive so most users went with Windows, whether they liked it or not. Unfortunately, once you got locked into the Microsoft ecosystem it became too expensive to switch to another O/S. By the time Linux came on the scene at least 90% of world's PCs ran Windows so it was a de facto standard. "they made everything user friendly." It still doesn't address the problems of getting Linux to work if you don't have a degree in nerdism. You look on all the websites for answers and you get several answers addressing the problem, all completely different and none of which work, that's even if you can understand their instructions. I've tried several times over many years, but haven't managed to get it running satisfactorily. Probably the reason no one hacks Linux is because there is no one on Linux worth hacking. Windows works out of the box, as does Android, which came much later than Linux. The reason Linux doesn't work out of the box or even at all, is probably because it's made by a bunch of amateurs in their spare time, and who still go back to Windows to do their dropper work. Linux devs certainly aren't amateurs. Lots of enterprises run Linux on their servers. Linux gives you the flexibility to make it exactly what you want. If I just want to build a web server, I don't need a full-blown GUI like Windows taking up resources. I can set up a LAMP stack on Linux a lot faster than you can set up a Windows web server. Thanks to package managers, downloading all the software you need is a breeze. Microsoft's "App Store" is no comparison. A lot of the most common distros - like Ubuntu or Fedora - are easy to install. Most of them will take care of everything for you if you just keep hitting next. Honestly, if you can't make it through the installation of a basic Linux distro, I kinda doubt you'd be able install any operating system that wasn't already supplied by the manufacturer. Methinks you protest too much. The top 10 or 20 Linux distros have an automatic install mode. You tell the installer that you want the installer to partition the drive, your time zone, your default language, the userid and the password you want to use. The installer will display a screen with all your choices and ask you if you want to proceed. When you say YES, it installs the distro in about 10 minutes. If that is too difficult for you to comprehend then I don't know how the install process can be made less complicated for you. If little kids and senior citizens can install Linux with no problems, I'm sure that an experienced Windows user such as yourself can do it too. Of course there is the possibility that you are trolling just to get people riled up. Have you had a look at MX16? It is a midweight Linux and is really simple to use. I have almost completely migrated from Windows now and when 7 is no longer supported I will switch completely! "Probably the reason no one hacks Linux is because there is no one on Linux worth hacking." How uninformed can a single individual be? Google, Facebook, Twitter, Amazon, IBM, McDonald's, The New York Stock Exchange, The London Stock Exchange, et cetera. These names mean anything to you? In addition, the US Navy's submarines all dive, fight and compute with Linux. Linux is the OS of choice of most Armed Forces on the planet. Most nuclear plants run on Linux, producing the electricity for hapless sheeple to watch their weekly dose of football or baseball. Yes, Andriod works "out of the box". And do you know which OS Android is based on? If you're a kid/teenager I can forgive what you've just said but if you're older than say 20/25 then you quite literally have zero clue what you're talking about mate. Maybe you can't get it working because you're just no good with computers and your ego clouds your judgement of your own abilities with a computer. I honestly cannot fathom why anyone couldn't get Ubuntu or Mint installed, its no harder than Windows. In fact its easier as you don't have to type a key in for something you just spent money on! For the record Android is based on Linux and most of the words web servers and biggest tech companies rely heavily on a Linux stack hence there's more than enough out there to hack. Windows certainly does not just work out of the box any better than linux does and can also come with myriads of solutions to issues as well. The PROBLEM is that society has been weened on Windows for years and been brainwashed into thinking Windows is the only way. Microsoft are a business out to MAKE MONEY through advertising their products, it's as simple as that. Like i said at the top you literally have zero clue and are making off the wall statements so try educating yourself. I'm just a guy with a square head who knows how to do a couple of cool things (h/t Penn Jillette), and even I have managed a couple of pretty solid installs of Red Hat (waaaay back in the day), Ubuntu, Mint, and even Raspbian with Apache Server! Linux distros are not impossible. And with the exception of Red Hat (which happened back in 1998 on a repurposed Toshiba laptop), I just clicked off a few options and then installed the apps I needed. The only thing it lacked versus Windows was the painful registration and validation processes. You are the biggest fool I have seen in my life. "Microsoft followed the US Marine Corps motto of "If you have them by the balls, their minds and bodies will follow". I could install Linux mint and Ubuntu many years ago, without refering any website. And back then I knew nothing about computers and back then the installation process was not as user friendly as it is today. Installing distros like mint, Ubuntu , Manjaro, antergos, cannot be any more self explanatory as they currently are. If you still can't install any, even after refering websites (which really isn't needed) then there's something wrong with you. The guy is just a total troll and idiot. Nothing he has written has any justification. Not sure why anyone here is even answering him. Best not to feed the trolls. I don't think you've tried an easy-to-use distro such as Elementary OS. Well your summation fits the 'common wisdom' back in the early 90s maybe, but things have changed quite a bit. Also it's one thing to say Windows is so 'user friendly' if that's all you've been exposed to. An example being if you go into a typical elementary school and watch the kids working on Linux, Mac, or Windows computers. They just adapt and pick up on things after a few minutes of fiddling around. It's always the adults who have problems adapting to anything 'different'.
" It's always the adults who have problems adapting to anything 'different'." No, not adults. Only whiners and trolls. Adults adapt and try to make the best of the situation. If you think installing any Linux distro these days is hard, imagine installing a very early Slackware distro (I still have Slackware 3.0 on CD somewhere. CDs, remember those?). Compile your own 1.x kernel, which used to take hours, if it even compiled at all. Getting X to work was a whole different challenge. Internet access via dialup for even getting it was hard! Buy at the end of the day, look what Linux gives you now - choice & flexibility. So pick a distro that suits your needs & abilities and you'll be happy! I'm also wondering how Arch Linux didn't make the list, and somehow Debian is #1? Maybe the author was considering that technically the Arch install process is really only one command after you mount your disks, supposing you've already partitioned them. I personally prefer my trusty boot diskette over some other grubby solution. Plus I can take it with me anywhere before 2010. An article on difficult Linux distributions to install without mentioning of Arch . It does not even come with a window manager. Neither do antiX Core or Tiny Core. Should they have been included? I don't know if it was harder, but it was FUN: Puppy Linux! A VERY small Linux distro that is meant to be launched from a flash drive (< 4G Ram needed!) but CAN be installed on a HD if you can configure a partition for persistent memory. GREAT for old machines, small ones, for those on the go, if you don't own a laptop or tablet, etc. Is really friendly with Windows! Well trained!! Puppy Linux is an awesome distro! As you more or less have said, it's perfect for systems that are still useful, but need a less resource-intensive OS. And it's EXTREMELY simple to install, at least in my experience. For me, installing Linux -- even if it's Ubuntu or Deepin (simplest to install IMO) provides a way to learn something about my computer and Linux itself. The hardest I've installed yet is Gentoo and when I finally emerged (see what I did there?) I felt like a hungry emperor penguin ready to go after that school of fish. Next stop: probably Exherbo or LFS! Source Mage GNU/Linux is one step less difficult than Linux From Scratch and it is an actual distribution. What makes it hard is its terminology which is straight out of Harry Potter. You do not use a repository but a 'grimoire'. You do not install software, you 'cast a spell'. You do not uninstall, you 'dispell'. So on and so forth. If you want to run Linux programs, you use a distro from the Ubuntu family. If you want to truly LEARN Linux, you use the LFS and BLFS manuals to build your own distro. That is the beauty of GNU/Linux. It does not try to satisfy all users with the same version or create crippled versions for some users like Windows does. There is a Linux distro for every level of ability and every temperament. I've used Gentoo before and tried LFS a few times. I learned some things from both experiences, which is why I'm happy with Arch: package managers with pre-built binary packages are convenient. I have very few things compiled from source using a PKGBUILD from AUR, and the result feels like the best of both Gentoo and Debian—my previous distro of choice—combined. Totally agree. I've tried more than once to install Gentoo, but couldn't get it to work. Arch Linux, as long as you follow the installation guide, is not too hard and you can basically create you own personalized distro. Don't be afraid of the command line; it is your friend. I've tried many distros and Arch is my favorite. If, on the other hand, you want an installation that you really don't need to think about, I'd go with one of the *buntus or OpenSuse. Debian is not that difficult to install. I'm not sure why it's even on this list. It may require you to install other packages after the primary installation, but all distros do. The main problem that I have installing any Linux, even Ubuntu or Mint, is the restrictions that Microsoft/Intel put on the boot process. I have an HP computer with Windows 8.1. To be more techy, the problem is "Managing EFI Boot Loaders for Linux: Dealing with Secure Boot". I searched this topic for HP desktops and found nothing useful. In fact, one article wound up concluding that it was impossible to figure out how to boot a Linux DVD from these HP desktops. Also, I brought this up at a local Linux group. One person that also occurs with some other brands of desktop PC's. This is a big problem and when I see another article about installing whatever Linux in a magazine or online, I try to do what the article says and it never works. So I agree that Microsoft pre-installing Windows on PC's is a problem for newbies but the UEFI stuff makes it difficult for an experienced user in some cases. I had never seen anything about comparing installation with UEFI on different computers. IIRC, MUO had a couple of articles how to install Linux on UEFI PCs. The key is to turn off Safe Boot and use a UEFI-capable version of a distro. Many distro developers have released such versions in the past few months. In the past two weeks I have installed Mageia 6.0, Devuan 1.0 and the latest version of PCLinuxOS on a HP z420 desktop. The only problems I ran into had nothing to do with Linux and/or HP. When I installed Ubuntu Linux on a Secure Boot enabled Intel NUC PC after installing Windows 10 Pro, I did not have to turn off Secure Boot on the PC. The installation from a bootable USB Ubuntu installer went just fine with Secure Boot still enabled. Maybe that's because the NUC did not have a manufacturer's proprietary UEFI partition. That I think is the main difference.